​Get access to the help you need 24/7 at the push of a button. The HomeSafe Standard medical alert system delivers peace-of-mind at home, at an exceptional value. Things you once didn’t think twice about, like stepping out of the shower, throw rugs or simply walking up and down stairs, may now pose more of a threat. As we age, the need for additional support grows. Lifeline with HomeSafe provides you with support at the press of a button, whether it’s a minor trip, or a true medical emergency the help you need will be dispatched to you. HomeSafe provides a feeling of security in and around the home. With a simple push of your Lifeline help button, worn as a pendant or wristband, you’ll be quickly connected to our Response Center for assistance. Your help button will send alerts from anywhere inside your home, as long as you’re within range of the in-home Communicator. Speak directly with a Lifeline Response Associate through your in-home Communicator. Unlike a cell phone, you wear your help button on you at all times, so help is always just a button press away. Our multi-lingual Lifeline Associates are professionally trained, standing by to answer your call and assess the level of emergency. 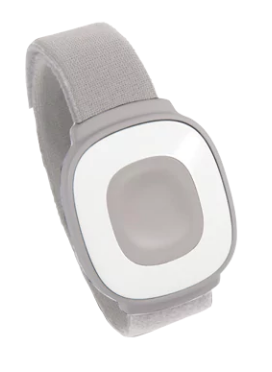 Wear your device in the bath or in the shower, where falls are most common. 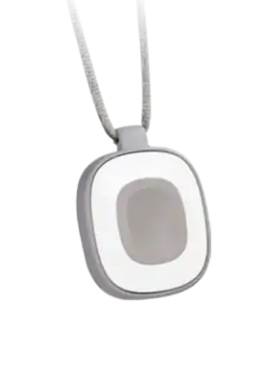 As your most dependable accessory, the lightweight pendant or wristband can be comfortably worn above or under clothing. Battery is long-lasting, and we’ll automatically replace it when needed. With a HomeSafe medical alert system, your help button is only a piece of the service. The next critical component is your in-home Communicator. It’s your system’s home base. When you press your help button, the Communicator works like a speaker-phone and speed-dials the Lifeline Response Center for direct communication with an associate who is ready to help. 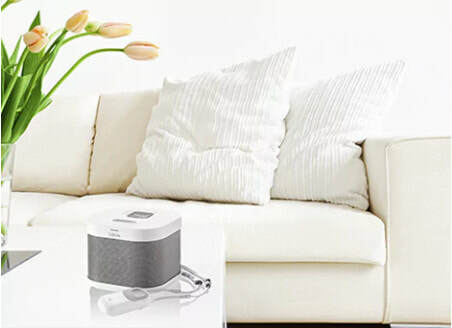 The Communicator amplifies sound so you can hear and be heard throughout your home. The Communicator conducts regular system checks and will automatically alert Lifeline if maintenance is required. Choose from a variety of connection options, including wireless. Just turn it on and follow the step-by-step voice-guided installation process. Or, ask us about our installation service. Up to 30 hours of battery backup gives you access to help even during power outages.